we have been about God's work as a congregation. That year, fifty-two people decided to gather as a congregation and built our present sanctuary. During the next five decades, the congregation grew, a pipe organ was installed, an active education program was supported and a lively Women's Society established. A slow and steady growth marked our life early in this century. 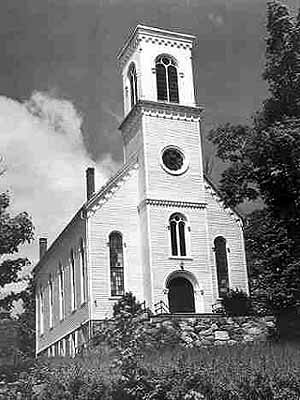 After George Riggan was called in 1938, the congregation established Sunday Evening Forums. Eleanor Roosevelt, Adm. Donald MacMillan and Rabbi Stephen Wise were among the lecturers. During the late 1940s, Harper Welch helped the congregation regain control of the Pratt Estate, left by Capt. Isaiah Pratt "for the benefit of Congregational Children." In 1951, the congregation planned for an addition to provide better facilities for Christian education and fellowship. This work and new life continued under the vigorous leadership of Walter Kuyawski. His sudden death was a blow, but the congregation continued to plan a more extensive ministry. In 1955, Allan Lorimer became pastor and a year later, Don Male began a creative youth ministry. During this time, the music ministry grew as did the worshipping congregation. Peter Diehl, called in 1967, helped us to welcome more families while ministering during the turbulent late 1960s. In the 1971, Ernest Harris became our minister, encouraging fresh forms of ministry and outreach. Barry Asch also began his extensive music ministry. Joshua Crowell was called in 1975 and helped us to develop our unique gifts and grow in our sense of ministry. In 1987, we created an added staff position of Associate Minister and Bette Anne Crowell was called to that position. We grew to see our ministries effectively extended throughout the world, as we hosted several world missionaries and national staff members. 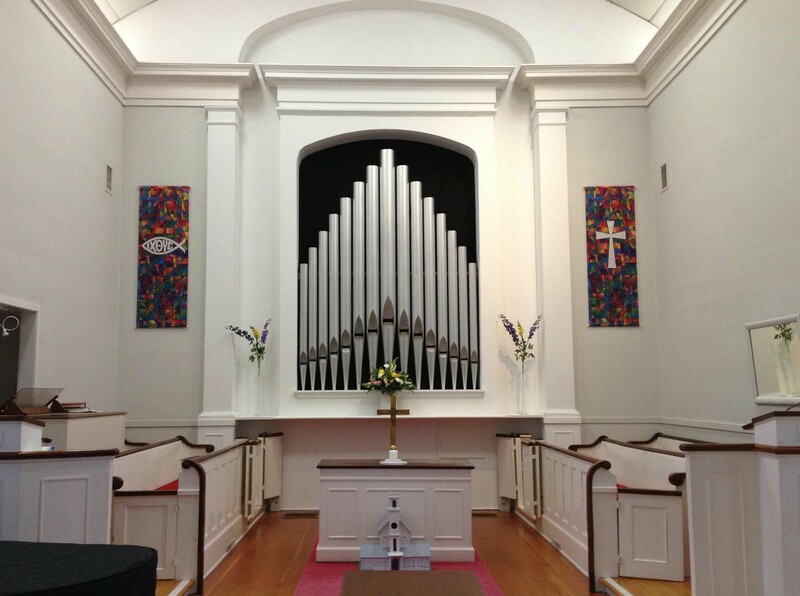 We completed an ambitious program of expanding and refurbishing our facilities and added a new Austin organ to better serve our growing congregation in the early 1990s. Ken Peterkin was called to serve as our Senior Minister in July of 2004, ushering in yet another dynamic set of leadership skills and calls for challenge and service. Under Rev. Ken's ministry we became an Open and Affirming Congregation, instituted weekday worship for those that can't attend on Sunday, and established our Endowment Policy. Ken has heralded in a new era of vitality for us that will only expand our ministries and strenghen the love that binds us together. As we look to the future, God continues to call us to new ministries and to continue to show the love God has made known to us in Christ. FCC Essex is a member congregation of the South Central Region of the Connecticut Conference, UCC. The national setting of the United Church of Christ in located on Cleveland, Ohio.